Brains for all! 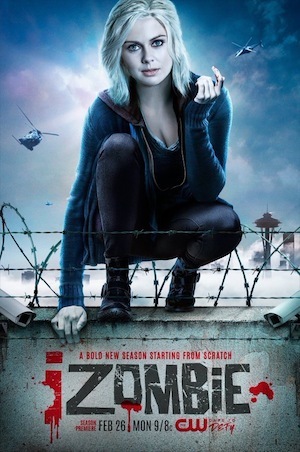 IZOMBIE has been renewed by The CW. The rom-com-zom-dram will return for a fifth season during the 2018-2019 season. The series stars Rose McIver, Malcolm Goodwin, Rahul Kohli, Robert Buckley, David Anders, and Aly Michalka. Are you excited for more IZOMBIE?